How can we learn to embrace change better and be agile with the fast paced, ever changing work world? Being agile in the business world relates to a method of project management that is characterized by the division of tasks into short phases of work with frequent reassessment and adaptation of plans. In fact they say ‘agile methods replace high level design with frequent design’. Therefore being agile in life, as a leader, and in our business could be accomplished with the same frequent reflection and reassessment with the ability to adapt to necessary changes. Did you know that agile coaches are emerging in the business world for teams and leaders to enhance their performance? Imagine how great it would be to have a coach for yourself or your team that guided you through change, through blocks in growth, and in the discovery of solutions. I can remember sitting with one entrepreneur in particular who had gone in one direction with their business and discovered it did not work. It of course, as we can all understand, was very disappointing and a crucial defining moment. They were thinking it was the end of their business, a failure and time to toss the towel in. It was right at that moment, I shared a different perspective that would either be taken as annoying and unsympathetic or as a light with a new perspective shift. I said, “this is feedback, this is great market research to move forward with unfortunate as it is, but this is an opportunity to be agile and pivot because in essence with them telling you what they do not want or you knowing what is not working, you now also know what they do want.” Luckily because the entrepreneur was agile and open with the ability to see it was part of the path of discovery, they decided to have an agile mindset and pivot. Being an agile leader in our work place or our life requires us to be nimble with change which really requires us to accept not resist. It also requires immense self awareness, an openness to change, and a growth mindset. Agile leadership is the ability of a leader to be able to lead well in a variety of circumstances especially new, changing, and ambiguous situations. I do not know about you, but I do not know many people who run open arms into change excited and thrilled to experience all it has to offer. To the contrary most of us, just like we have seen our dogs and children do, dig our heels in and go screaming, kicking, and unwillingly against change. Actually we even ignore, avoid, postpone, and distract so we do not even have to open the door to change and we can stay right where we complacently are even if it is uncomfortable. Luckily there are coaches that actually specialize in change and they are called agile coaches. 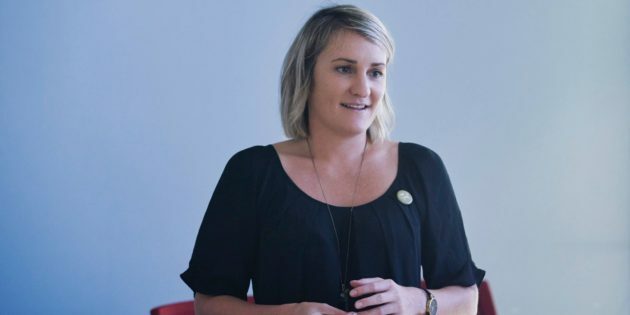 Cheryl Tansey is a global agile coach from New Zealand who specializes in agile education and leadership where she facilitates the growth and adaptability of people. She was kind of enough to sit down with me and gave us an interview about being agile, agile leadership, and how to grow an agile team or business. You can share, download, or subscribe to the episode and podcast with the ‘three dots’ and or the down arrow button on the right of the player above. 26:00 min What is the impact of doing nothing? 42:30 min The question you need to ask yourself about agility?